Where caring is what we do Best! Shop in Our Online Pharmacy Today! Pet Emergency? Call us right away at 603-938-5500! "Caring is what we do best!" Dr. Diane is a lover of animals who treats your pets as though they were her very own. Her easy going way and contagious laugh puts both pet and owner at ease. 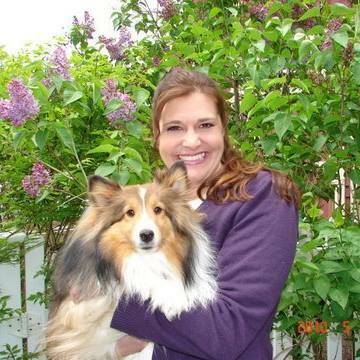 After over 25 years of experience as a Holistic and Integrative Veterinarian, she uses her alternative and traditional therapies to help her effectively treat serious conditions as well as provide excellent preventative medicine and regular pet wellness care. Dr. Diane is known as a "cat whisperer" and she has a special way with giant breed dogs as well as toy breeds. She is a mom herself, so children are always welcome in the practice. The small town, warm and inviting environment at Compassion Veterinary Hospital makes everyone feel at ease, especially our fur babies. From Chinese Herbal Medicine, Cold Laser Therapy, VOM Chiropractic techniques, Essential Oils, Aroma Therapy and Needle Free Acupunture, Dr. Diane is able to offer a wide range of Alternative Therapies to help your pets stay healthy and young! Dr. Diane has surrounded herself with an outstanding technical staff that is just as caring as she is! Our team will be glad to answer any questions you may have to help your pet's quality of life be wonderful from the time they are babies all the way through the "golden years". It is our pleasure to treat your pets! We are happy to offer a number of resources that enable you to learn about how to take better care of your pets. Please feel free to browse our site, particularly the informational articles. The best veterinary care for animals is ongoing nutrition and problem prevention, so becoming knowledgeable about preventative pet care is essential to the ongoing success of your animal’s health. If you have any questions, call 603-938-5500 or email us and we'll promptly get back to you. Our Bradford veterinarian office is very easy to get to -- and you can find directions on our Contact Us page! We also welcome you to subscribe to our newsletter, which is created especially for Bradford pet owners. If you are from the lovely area of Kearsarge and Lake Sunapee, (Andover, Bradford, Croydon, Danbury, Elkins, Georges Mills, Grantham, Guild, Newbury, Newport, New London, Salisbury, Springfield, Sunapee, Sutton, Warner, and Wilmot) Or from our neighboring towns like Henniker, Concord, Contoocook, Hopkinton, Hanover and Lebanon....we WELCOME YOU! At Compassion Vet Hospital, we treat your pets like the valued family members they are. Dr. Diane Richter is the practice owner here at Compassion Veterinary Hospital. In 2006, she converted this lovely 1781 Cape Cod into a homey practice where she could do high quality integrative holistic veterinary medicine in a warm, friendly environment. She loves being the 'small town vet' where the love of community flows both ways. She loves to see her client's fur kids, whom she counts among her friends, and shares her contagious laugh along the way. "I absolutely loved going to Diane when I lived in NH. She's by far my favorite vet to this day. She always has so much compassion and love for each individual animal and their family. Most certainly recommend her for all your animals needs!" "AnI thought the staff at compassion veterinary hospital were wonderful! You can see how much they truly care about animals. I feel relieved knowing they are there for my babies when I need them. I would highly recommend them!" "What a great place to take your pet, They are all truly compassionate!"